Easy to install, no electrical wires or complicated set up. Length of wire provided is sufficient to protect ponds with a circumference of up[ to 12.5 metres. 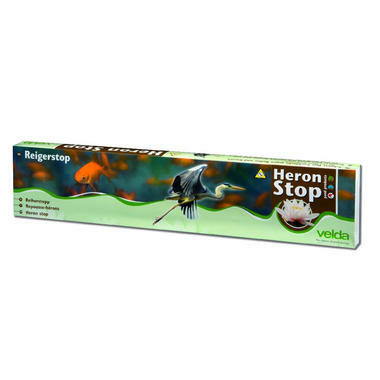 The Velda Heron Stop is an easy to use system to help prevent pests like Herons invading your pond and garden. 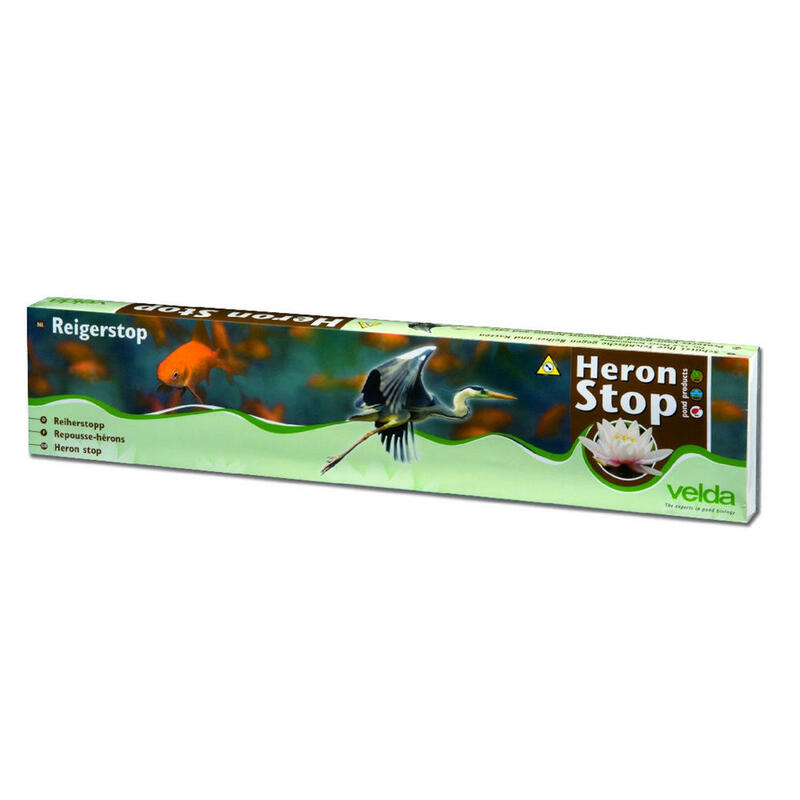 The Heron Stop system allows light weight stakes to be placed in the ground around any pond or forbidden place. 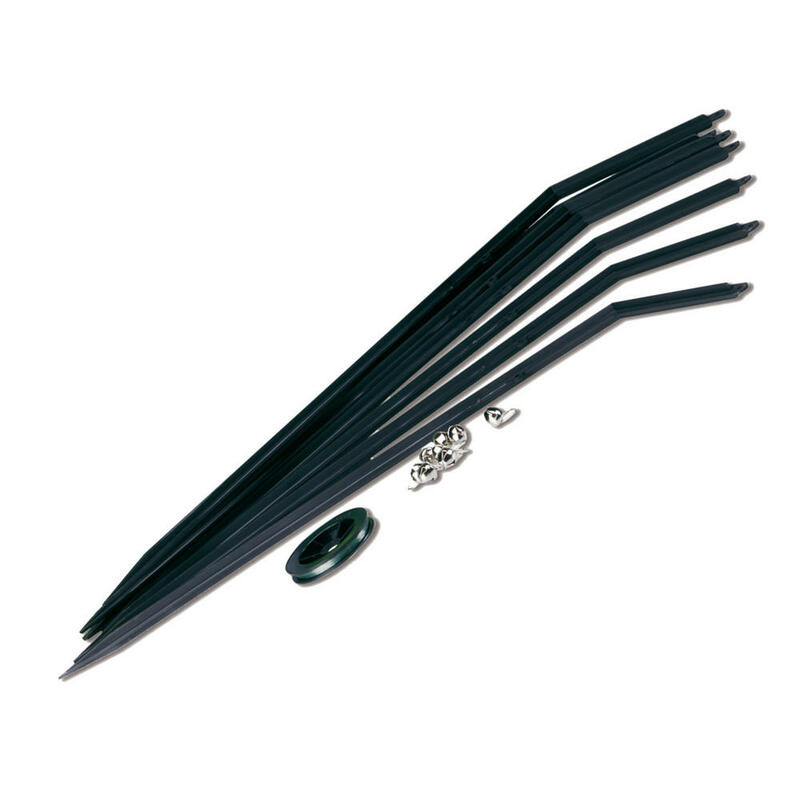 A simple nylon line is placed through the stakes to form a barrier and is attached to a small ringing bell. When a heron makes contact with the wire, which appears invisible to them, the ringing of the bell will immediately scare them away. The system is easy to set up and does not require a lot of work or complicated connections so is ideal for anyone to use. Can also be used to fence of any forbidden areas from cats, foxes, rabbits and other unwanted visitors in the garden.